A limited edition is a reproduction of an original work of art that is most often signed and numbered by the artist and the total number of prints is fixed or limited. We are pleased to share a very special opportunity with Terry Redlin fans and collectors. The Redlin family has made their personal collection of limited edition prints available to the Redlin Art Center. Ever since his very first print was released, Terry saved for his own archives, a print from each of his editions. In fact, sometimes, he would save a few so that he would have them for his children, too. Now, since he has officially retired, he and his family have decided to make some of these rare and special editions available to the public. 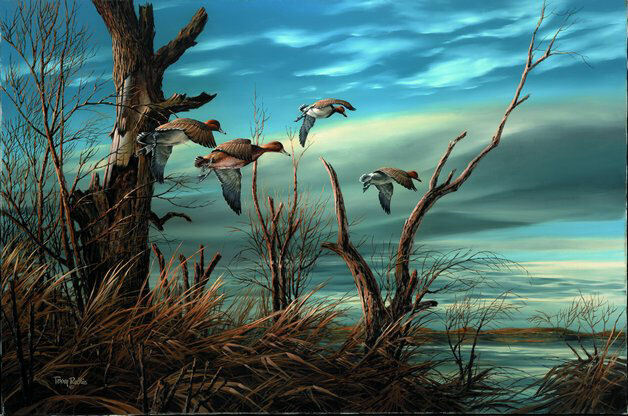 These prints are numbered and hand-signed by Terry Redlin and are part of the original edition. They have never been sold, but have been carefully stored for safe keeping by the Redlin family. Today, as part of their ongoing support of the Redlin Art Center, they are making some of these prints available for purchase. The Redlin Art Center would like to extend a special thank you to Terry Redlin and the Redlin family for making it possible for us to share some of these rare and collectible pieces of art.